Introducing a new way to clean your gutters. Gutters usually over the year get all sorts of dirt, leaves and moss and occasionally some grass growing! This causes blockages causing the drainage not to work properly and eventually dirty water spilling over the sides of the gutters. Before cleaning gutters usually involved getting up a ladder with a bucket and manually removing the dirt and leaves. Naturally this is very dangerous, not only because of being up a ladder but also because of the balancing act required to then clean the gutters. Also cleaning gutters this way always caused mud and dirty water to be slopped over anything in the way! 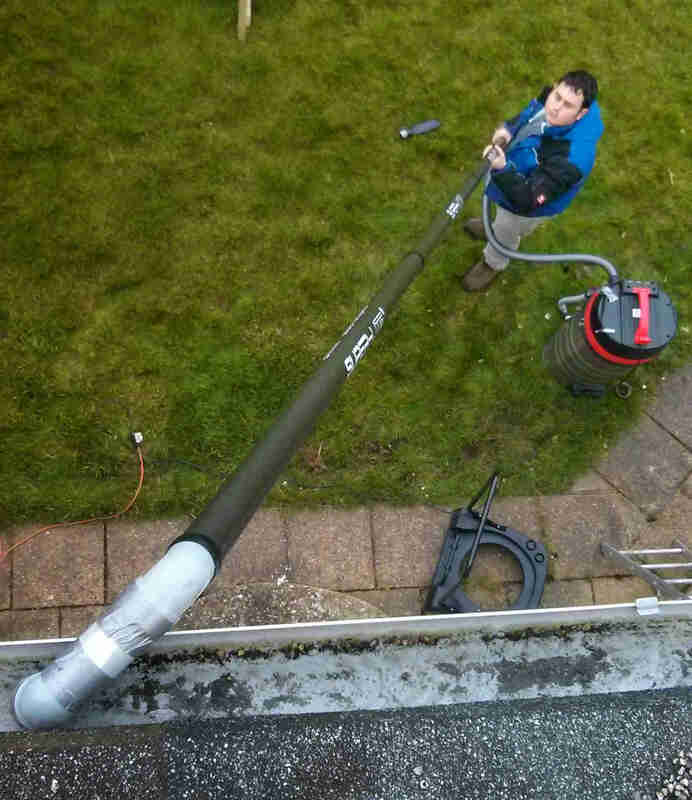 Now we have added the option for us to clean gutters from the safety of the ground using the latest Gutter Vac system. 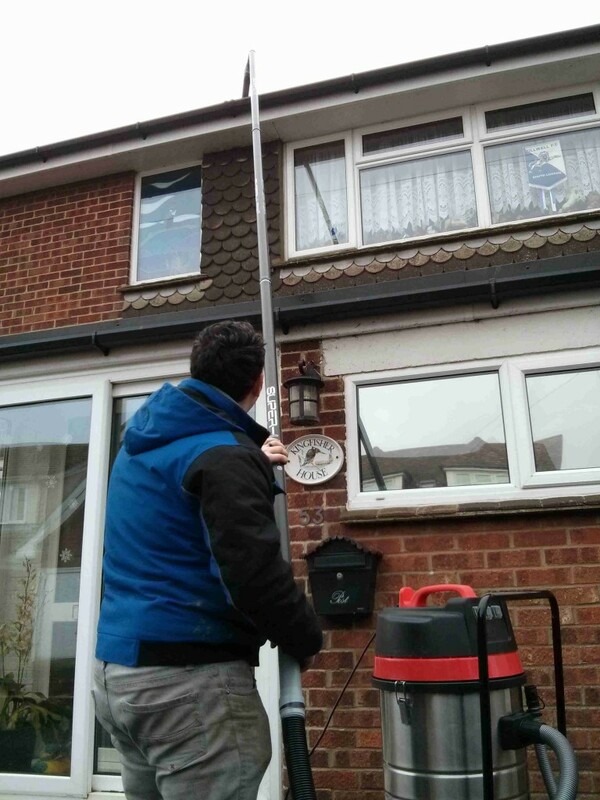 Using lightweight and superstrong carbon fibre poles and a super powerful 3000watt wet and dry vacuum we can clean all the dirt from gutter.This also benefits areas of gutters that were just not accessible before, e.g above conservatories or around dormer windows.